Tracks with play audio samples. 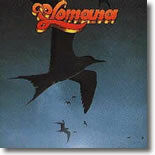 Waimanalo Country Song - by Jerry Santos. 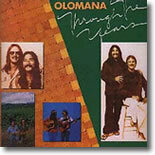 Jerry Santos is the lead singer and guitarist in the popular group Olomana . 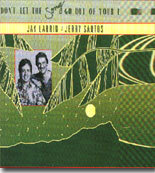 This 1989 album is Jerry's first solo album. With the theme of friendship and love, Jerry calls on talented island notables: Peter Moon, Kapono Beamer, Haunani Apoliona, and many more. 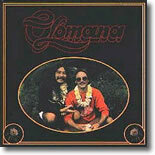 Jerry chooses material from Hawaiian (Hewett, Combs) and mainland (Fogelberg, Manchester, Bryant) sources. 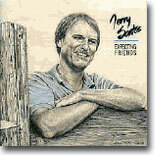 Jerry's Expecting Friends album demonstrates that human music recognizes no geographical or political boundaries. 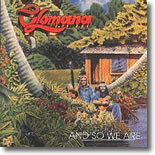 When I first moved to Kauai in 1980, Olomana was the first group I saw at a concert . I fell in love with their beautiful songs, as well as Jerry's sweet tenor voice. 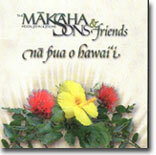 His slack key guitar style is beautiful, classic and this CD is a definite must for collectors. An easy listening invitation. 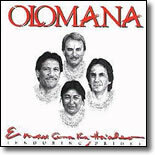 I was privileged to dance a hula with them in 1990 at a private party. A fond moment I'll never forget.